Part of the appeal of HBO’s “Silicon Valley” is that it really tries to get the little details of the tech industry right, which may be why so many programmers and tech companies have embraced the show. But one zinger in last night’s season finale might have cut too close for Theranos CEO Elizabeth Holmes. 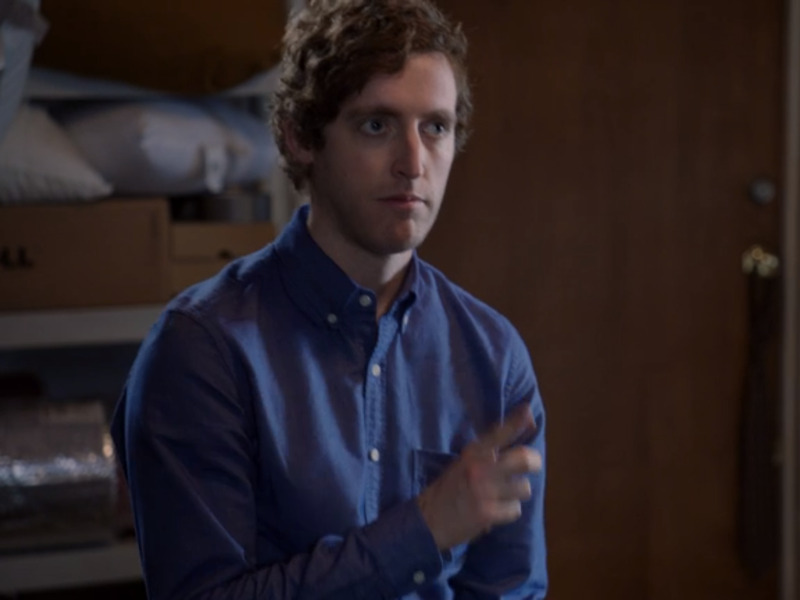 In the episode, main character and Pied Piper CEO Richard Hendricks is facing questions about his company and its user base, which as it turns out, is partially fake. “This is fraud,” Jared Dunn, head of business development at Pied Piper tells Hendricks. “And if our platform works, which we know it will, we will make them billions of dollars. Everyone wins,” Hendricks continued. The timely joke is referring to the blood testing company’s recent woes. Most recently, the company voided two years of test results from its proprietary Edison blood-testing machines. That was only the latest development in months of revelations that have raised doubts that Holmes’ company has any valuable, proprietary working technology at all. To many, Holmes has been lying about her company’s capabilities. Which is why the fictional Hendricks draws the sharp comparison between his company and Theranos. To him, his technology is real and it works — Pied Piper is only lying about its user numbers. That’s not the only hilarious Silicon Valley inside joke in the episode. There’s one particularly inspired sequence in which Erlich Bachman, Pied Piper’s head of PR, describes how he played big-name Sand Hill Road venture capitalists off each other and received a fat new round of funding. The Silicon Valley season finale can currently be streamed on HBO Go and HBO Now.